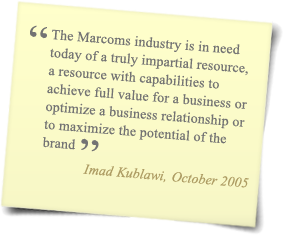 The founder of IK Consult is Imad Kublawi, a marketing communications specialist with over 30 years extensive experience in the Middle East and North Africa. 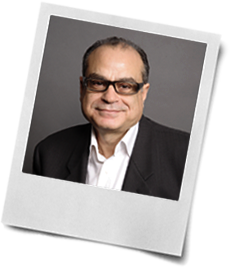 On the agency side: Imad spent 27 years in advertising which started in Kuwait then moved to Athens and in 1984 to London. In 2002, having spent 17 years in London, Imad relocated to Beirut carrying on as Chief Operating officer of JWT’s Middle East Network, until 2005. On the client side: In August 2005 Imad formed “IK Consult” in London then expanded to Dubai in 2006 and Doha in 2011 with delivery capability across the entire region. In this capacity, Imad acted as advisor to a number of publicly listed companies as well as medium to large private enterprises on strategic brand development and agency selection, management and optimization. Corporate finance and strategy advice with Results International since 2008 as Regional Partner for the MENA region engaged in various M&A and consultancy projects.